Construit pour un capitaine de la Schooner, Joseph Corkum, à la fin des années 1800. Une belle maison juste sur l'océan Atlantique. Écoutez le surf et sentez l'air salé de la mer à partir de la porte arrière. Salon principal avec baie vitrée. Rez-de-chaussée salle de bain complète (13 'x 9') Promenez-vous sur les 3 hectares, avec des vues à couper le souffle. Sur la propriété est Pentz Cove, lancez votre kayak et remontez vers l'île Coffin et explorez l'habitat côtier naturel. Moins de 2 minutes en voiture est Beach Meadows Mile Long Sand Beach. La propriété orientée vers le sud permet un grand soleil toute la journée, en commençant par le merveilleux lever de soleil sur l'océan. La Lune brille à travers l'océan à votre porte. REMARQUE: Frais d'invité supplémentaire - Toute personne supplémentaire de plus de 6 ans, 30,00 $ par nuit. Having these guests in "The Mighty Atlantic" Guest House was a real treat. Being here for the World Junior Curling Championships was an exciting week for all. Thank you for staying with us and hope we see you in Europe one day. 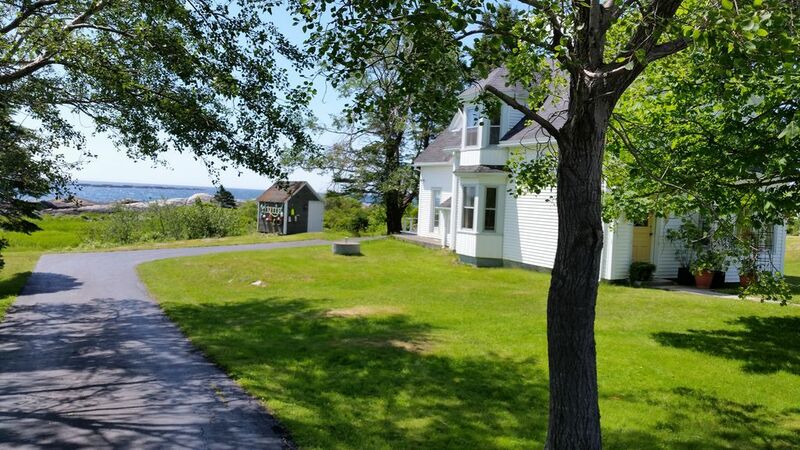 The house offers stunning views of the Atlantic Ocean and is well equipped with everything you need for your stay and Brian is extremely friendly and easy to work with. I would highly recommend this property. Friendly and available owners. Charming house. Quiet place. So pleased you enjoyed your stay at "The Mighty Atlantic", the Ocean certainly put on a show for you before you left. The south shore is a nice area with rock and beaches and cute towns. Safe travels for the rest of your Nova Scotia vacation, come again ! Only stayed for 2 nights, but they were very relaxing nights. The setting on the coastline could not have been prettier. The history of the area and house itself was just amazing. The folks in the town nearby (Brooklyn) were so friendly. A wonderful stay... Wish we had more time to explore Coffin Island. This is one of the most beautiful properties we have rented!